In 1948 Jews around the world celebrated the United Nations vote to establish an independent Jewish state. Jews would have the right for self determination the first time since Shimon bar Kokhba ruled over Judea in 132 CE. In Jerusalem, special sweets were prepared and shared to mark the occasion. Malka Cohen Giat was one of those celebrants. She prepared sweet fillo pastries filled with the Turkish delight lokum. This pastry reflects the 400 years of Ottoman influence over Jerusalem. Adapted from Gizar Kon Gozo by Matilda Koen-Sarano. Cut the puff pastry into circles. Place a cube of lokum in the center of each circle. Bake for 20 minutes, until the pastry is golden and puffed. 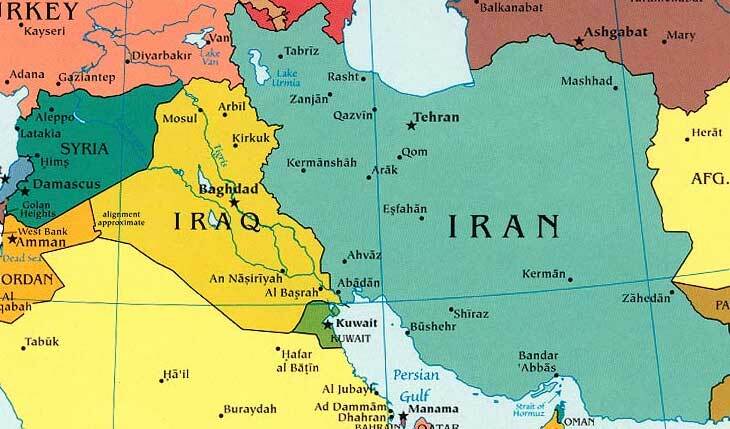 Mitt Romney repeated his contention that Syria is Iran’s “route to the sea.” This is a puzzling claim, considering that Syria shares no border with Iran — Iraq and Turkey are in the way — and that Iran has about 1,500 miles of coastline along the Persian Gulf and Gulf of Oman, leading to the Arabian Sea. The Fact Checker column has looked into this before. Romney made the same mistake at the Arizona GOP Debate, at the AIPAC’s Annual Summit, and during interviews on MSNBC, on Fox News Radio, and in the Washington Post.